We all want to get great value for money, so I’d like to show you where I find the best Portugal travel deals for hotels, car rental, flights or tours. Whenever I start planning a trip, whether it’s within Portugal or to other countries, there are certain ‘go to’ sites that I always consult. I’ve also negotiated special discounts for you with certain local tour companies so look for the discount codes below. I keep this page as up to date as possible so it’s always worth checking back for new deals and special offers. 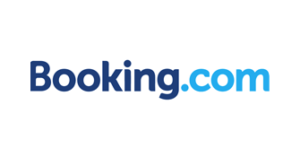 I’ve been using Booking.com for over 10 years and it’s still my first port of call when it comes to finding accommodation. I haven’t had a problem with a booking in all that time and get great ‘Genius’ discounts. The reviews are from verified guests and therefore more reliable than on some other sites. I also find it easy to compare facilities between places on my shortlist. Most accommodations allow you to cancel or change your booking for free so you can plan ahead without commitment. 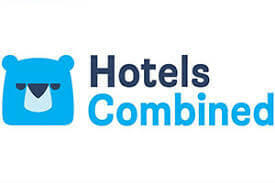 The benefit of using Hotels Combined to book your accommodation is that it finds you the best deals available from a range of sites, Booking.com included. It’s easy to compare like-for-like prices because their search results tell you exactly what you get, e.g. breakfast included, twin beds. I’ve used AirBnB several times in Portugal and Europe with only one hiccup. By renting a room or apartment directly from a local, you may find yourself in a more residential neighbourhood and have a more ‘local’ experience. Be aware that if there’s a problem, the support you need may not be readily available from offsite hosts. AirBnB can be a good option for those wanting to stay a month or more to scope out a possible place to live as there may be a discount for longer stays. If you’re not already familiar with VRBO, it stands for Vacation Rentals By Owner so in many ways there are similarities between this and AirBnB. Use the website to filter your search for unique homes and apartments rented out by individuals rather than chains. VRBO is actually part of the HomeAway family but some of you may be more familiar with this branding, depending on which part of the world you live in. This website is easier to filter for specific amenities such as balconies and barbecues than AirBnB. It also includes a checkbox for long-term rentals which may be of interest to people considering relocating to Portugal. To see my top picks for where to stay in different places in Portugal, check out these destination-specific accommodation guides. Although housesitting doesn’t necessarily involve looking after animals, that’s the most common reason for people wanting others to stay in their homes while they’re away. I’ve used Trusted Housesitters, which matches sitters with homeowners. Housesitting can be a fantastic way of getting free accommodation, especially if you’re interested in staying in Portugal for an extended period to decide whether or not you want to live here. 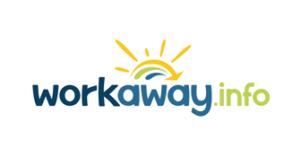 If you’re interested in a more in-depth cultural experience, as well as bed and board, in exchange for your skills and labour, Workaway is a well-respected platform for connecting hosts with volunteers. For a small annual fee, you can search for and apply to individuals and small organisations that need some help. It’s worth considering if you want to immerse yourself in a language you’re trying to learn, too. You never know what might happen to ruin your trip so it’s a good idea to take out travel insurance before you leave home. There are many companies and policies to choose from so it pays to compare the cover to make sure it suits your specific needs. One of the things I love about the Rentalcars.com car rental search and booking engine is that you can see which car hire company you would be using. The booking is made through Rentalcars.com and the car is supplied by your preferred rental company at your chosen location. Although you pay up front, there is usually free cancellation so you can book ahead to get the best prices (check the terms and conditions to make sure). I have yet to use this car pooling service but it’s been around for a few years. 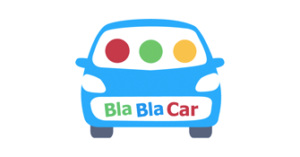 Bla Bla Car is a platform for connecting drivers who want company and/or to spilt costs with travellers looking for an economical or more entertaining way of getting to the same destination. You can filter your searches for women only or levels of chattiness so if there’s no point talking to you before your third cup of coffee, opt for a less talkative driver. Or use the ride share as an opportunity to practice your language skills. I’ve used Europcar a few times in Portugal and always been satisfied with their service. They have offices in several of the smaller towns, such as Peso da Régua in the Douro which makes it easier to avoid one-way rental fees. Office hours may be restricted, especially at weekends so plan carefully. They’ve also started offering bicycle and motorbike rentals in some locations. Whether you need airport transfers, a Lisbon Card, hop-on hop-off bus tours, food tours, boat trips, private experiences or workshops, Get Your Guide has a whole range of activities and services to choose from. The good thing is that they offer free cancellation (check the conditions) so you can book ahead with confidence. I like that you can check reviews and they also show which tour company actually provides the service, unlike other tour booking sites. 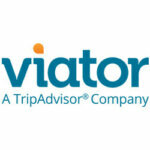 Viator is another popular tour booking platform and is part of TripAdvisor. If you can’t find what you’re looking for on Get Your Guide, it’s worth taking a peek at what Viator have to offer. The booking system is simple to use and they issue refunds promptly if you cancel within the terms. The only thing I dislike is not knowing which tour company is supplying the tour until you’ve paid. Some of the tour operators I’ve had the pleasure of working with offer my readers a 5% discount on their tours. Note: You must mention the specific codes below when you make a booking. Singulartrips specialise in private cultural tours, especially food and wine related. Culinary Backstreets offer food-related walking tours in various cities around the world, including Lisbon. Go Walks Portugal are based in Coimbra and specialise in cultural tours of the city and Central Portugal. Descubra Minho work in Northern Portugal to show you local traditions, villages and natural wonders of the Minho region and Peneda-Gerês Natural Park. Lisbon By Boat is the leading boat tour company in the city and is offering a 5% discount on regular group departures including Historic Lisbon and Sunset Sailing or Sunset Motorboat trips. Click on a link below for more details and booking. 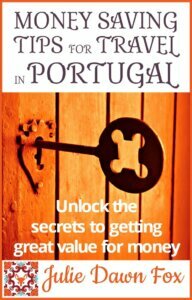 My ebook, Money-Saving Tips for Travel In Portugal. Unlock The Secrets To Getting Great Value For Money, goes beyond the basics of accommodation and car rental deals. It’s full of practical advice for using public transport, city cards, discounts and other insider tips for spending your travel funds wisely. Whether you’re just visiting or making the move to Portugal, you can save money with these insider tips. Disclosure: Some of these links are affiliates, which simply means I may receive a small commission if you buy through them. The price you pay doesn’t change unless there’s a discount code, in which case, you pay even less than usual. I only suggest products and services I know and love or would happily use myself.